I have another confession to make: apart from a shopaholism I’m also a huge film addict. Not sure if its cheaper but it doesn’t cause a space troubles :) But more importantly it’s a fun & art. An emotional food for the soul. What is it with the people and these powerful injections of emotions through moving pictures? Is our fav film reflection on our hidden personality OR a secret dream? What attract us the most: a story, special effects, fav director OR famous actor? Good review, recommendation from a friend OR stars from an IMDb? What drives us into cinema OR to our TV screens? Do you prefer watching films with a friend OR alone & have a good cry? Whatever is your preference a good film is always a good idea. Prime Instant Video is a membership service which allows unlimited streaming of video from the Prime Instant Video catalogue. More movies available online for rent or purchase. An annual Amazon Prime membership costs £79. You can also try a 30-day free trial. There is plenty of TV packages and online streaming services these days. I heard Netflex is good. If you have an iPhone you have an iTunes. They offer a wide range of apps, games, music, books & movies too. Fairly up to date collection, works on the Pay as you Go bases. A bit more expensive then Amazon Prime Videos (when you buy or rent a movie) BUT you really own the movies you purchase! :D You can move your purchased movies between devices as often as you want, but you can only have it on one device at a time. “Do what you love. Earn points. Then do it again on us! 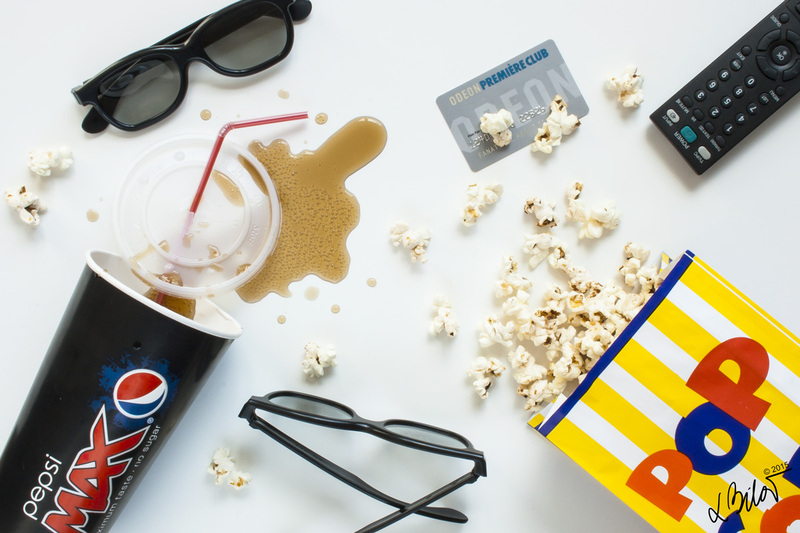 With ODEON Première Club, you’ll earn points to spend on tickets in cinema or online and on a range of tasty ODEON drinks and snacks.” Join here. ODEON BFI IMAX Cinema – cinema in the South Bank district of London, just north of Waterloo Station. It is owned by the British Film Institute and since July 2012 has been operated by Odeon Cinemas. Watching a film here is a completely immersive experience – the biggest cinema screen in the UK: over 20 metres high and 26 metres wide, showing large-format feature films and documentaries, some in 3D – is just the best place to enjoy any movie in its best quality! You pay more, yes BUT you are basically inside the movie, awesome sound (12,000 Watt digital surround sound system!! ), comfy seats, funny staff – what more do you need?! Internet Movie Database – is now the world’s most popular and authoritative source for movie, TV and celebrity content. A searchable database of more than 100 million data items including more than 2 million movies, TV and entertainment programs and more than 4 million cast and crew members. Well what more do you need? :) Some people don’t even watch anything that it’s under 6 stars anymore :D Haha well, I have to say – those stars do reflects on the quality 99% of the time very well. Im using these two words as a perfect synonyms – but while writing this post I realise the difference! Some says: “Movies is an Americanism”…lets explore. An online dictionary of slang words and phrases Urban Dictionary offers this definition of Movies: “One of Gods gifts to man. They can make you cry, laugh, horny, tired, excited, scared and more. Without movies this world wouldn’t be as good.” Movie is a compression of “moving pictures”. Studios make movies, whereas directors make films. The term seems almost antiquated, a little like “pictures”. Film: “When its art, you call it a film. When its mainstream garbage, it’s called a movie.” The word movies doesn’t communicate a sense of process, just a physical outcome. Film, meanwhile, is a reference to celluloid. Films also has an academic hue to it, emphasising a connection more to the world of art than of commerce. The term film contains a sense of the artisanal traits of the medium, equal with painting, photography or whittling etc. We have film studies NOT movie studies, film critics RARELY movie critics, film festivals NEVER movie festivals. Shop some cool stuff in their online store. Thank you for reading guys! Check Must See Films 2013-15 & Must See Films 2015, get inspired for long summer nights… Meanwhile, please share with us what services / providers are you using to review OR watch movies & TV shows in your country! Sharing is Caring :) Thanksss!